10 Whole World Political Maps in various projections (All UK centric) @100m scale. Fully editable in Illustrator and Editable Adobe Acrobat formats. Fully layered so you can turn the layers on or off, customise all lines, fills (as separate objects) and editable font text. Add your own information and create your own styles or use as is. Suitable for A5 to A3+ but as this is vector data it will always print to high quality. 10 Whole World Maps in various projections (All UK centric) @100m scale. 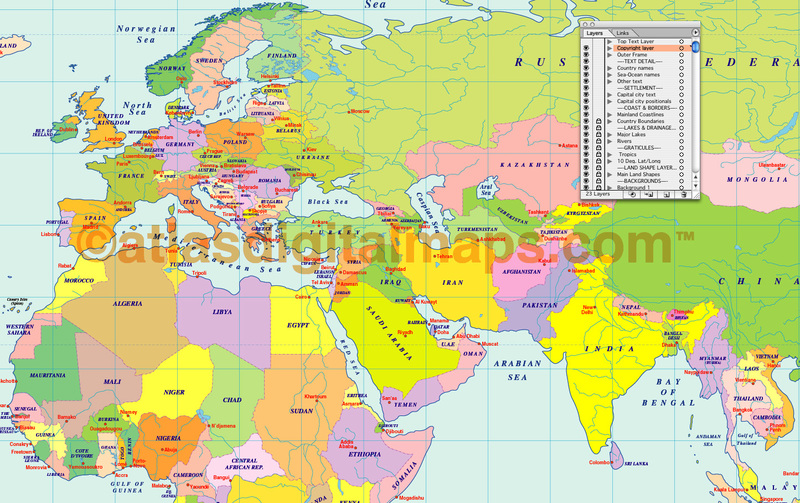 Fully editable World map in Illustrator CS and Editable Adobe Acrobat formats. Fully layered so you can turn the layers on or off, customise all lines, fills (as separate objects) and editable font text. Add your own information and create your own styles or use as is. Suitable for A5 to A3 but as this is vector data it will always print high quality. Map projections include: Eckert IV, Equirectangular, Gall Stereographic, Gall Orthographic, Goode Homolosine, Hyperellyptical, Loximuthal, Mercator, Robinson and The Times. Formats: Choose from Illustrator CS (for use with Illustrator CS1 to CS6 or later) or Adobe Acrobat Editable PDF 6.0 format. Our maps in PDF 6.0 format are fully layered within Acrobat but can still be opened and edited in Illustrator CS4 -CS6 while retaining full layering with 100% editability. Our Tiff files are single layer. 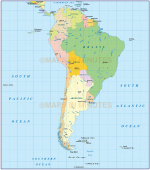 Authors notes: These maps are updated for 2013 including newly created South Sudan. 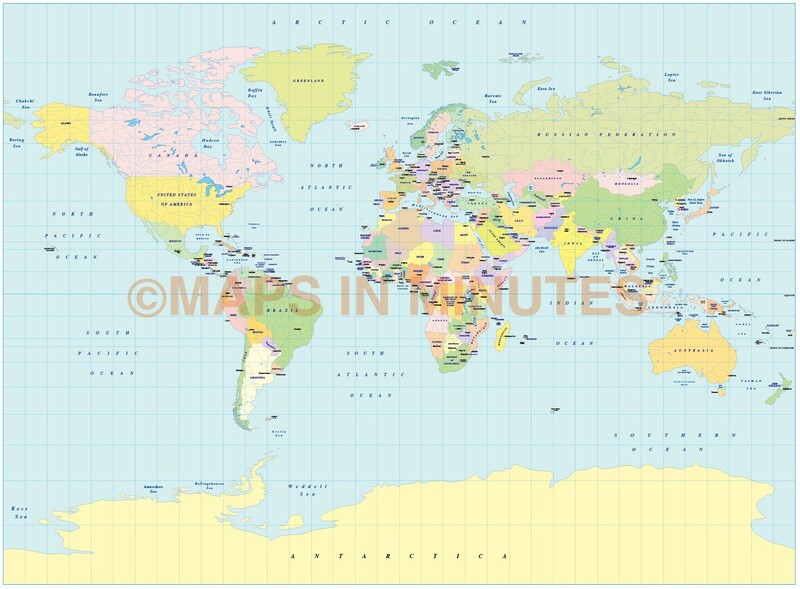 These small scale maps contain three layers of the country fills, each layer a different colour density, giving you an immediate choice of colour strength. Suitable for use up to A3 size.